artists across the globe. 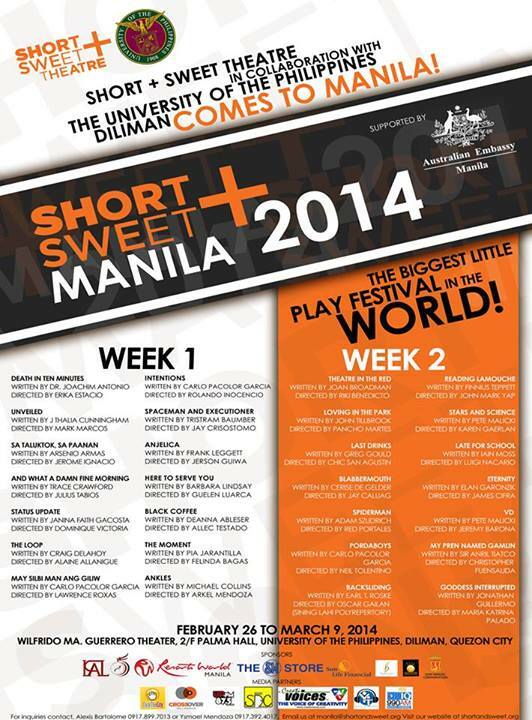 Short + Sweet Manila 2014 will open at Wilfrido Ma. Guerrero Theater, 6:30pm, and will run from February 26 to March 9, 2014. See you all in the Theater!